House Ethics Committee Resume probe of Rep. Jesse Jackson, Jr. The U.S. House of Representatives Ethics Committee has decided to resume their probe into whether or not Rep. Jesse Jackson Jr. violated any rules in his pursuit of President Obama's vacated senate seat. 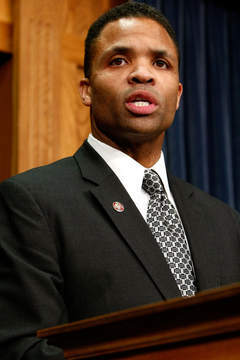 In 2009, the House Ethics Committee said it was investigating whether Jackson used public resources — in the form of his Chicago and Washington, D.C., staffs — to vie for the appointment to the Senate seat. “Rep. Jackson may have violated federal law and House rules concerning the proper use of the member’s representational allowance,” the panel indicated. The committee voted Thursday to “end the deferral” of the investigation. “The Committee will announce its course of action in this matter on or before December 2, 2011,” Tuesday’s news release said.